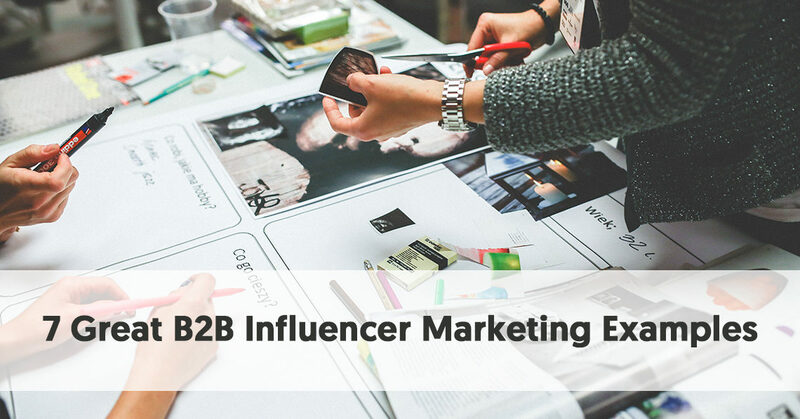 Quite a few B2B businesses have now discovered how they can gain from influencer marketing. In this post, we provide seven B2B marketing examples of firms that have benefited from following this approach. People buy from people - we all know this, so why don't we leverage it? The key finding from this is that although these businesses sell to other businesses, it is people who make B2B business decisions. In this way, B2B is not all that different from B2C. The main difference is that B2B decisionmaking generally requires more research. Here are seven firms that have used influencer marketing to spread their message. These firms have taken the risk and tasted success. SAP develops enterprise software for companies. They do this through a combination of applications, platforms, and business networks. At its core, SAP is an ERP (Enterprise Resource Planning) application, focusing on Finance, Logistics, and Human Resources. As such, they are very much B2B-focused. They have discovered benefits of working with third-party influencers to help them market their services. The types of influencer they work with include independent business consultants, academics, and authors. These are people who have a strong influence on decisionmakers in the types of companies likely to appreciate SAP products. SAP works with these influencers to create relevant content. They also coordinate with them at suitable events. The key aim for the influencer content is to work with key people to create items of thought leadership. With SAP being a large company which works with enterprises in a wide range of niches, different marketing teams identify relevant influencers for each line of business. SAP organizes Sapphire, a user conference held in Orlando, Florida each year. It usually attracts about 20,000 attendees. SAP decided to widen its appeal in 2016. They worked with 11 influencers to create interview-based video content of the conference. The influencers live-streamed to about 80,000 people who could not attend the event. SAP, along with its influencers, shared this material, predominantly via Facebook. SAP was later able to repurpose many of the interviews as part of blog posts. SAP coordinated its influencers during Sapphire, arranging strategic meetings between the influencers and the general attendees, based on the influencers’ areas of expertise. They also gave the influencers an opportunity to meet with executives to use the SAP products and give feedback. SAP has also worked with influencers at other events. For instance, when SAP ran an IoT Launch event, they interacted their influencers to promote the launch and its event hashtag. This was successful enough for the hashtag to trend on Twitter. VideoFruit provides software, courses, coaching programs, and tools to help businesses build their email lists. It was founded by Bryan Harris. VideoFruit’s target customers are small businesses who operate websites. This is another clear case of B2B marketing. Bryan Harris decided to experiment with guest blogging on larger, more prestigious sites which target entrepreneurs. He began by writing a post for Noah Kagan’s OkDork site – Noah runs Sumo.com. Bryan kept a close eye on his analytics to see if there were any advantages generated by this guest blogging. On the day that Bryan’s guest post was published on OkDork, 1,086 visitors came to the VideoFruit website. This compared to the typical daily average of 285 visitors. 215 of the 1,086 visitors subscribed to VideoFruit. Page views rose 500% and unique page views jumped by over 600%. Visitors spent on average 8% more time on this page. The bounce rate fell by 6%. Of the site visitors, 73% were new visitors. Bryan Harris discovered that guest blogging can be a very worthwhile form of influencer marketing. American Express advertises extensively across a wide range of media. One method it uses is influencer marketing on Instagram, using its branded hashtag, #AmexAmbassadors. American Express used this campaign to promote its Platinum card. It targets this card at high-spending people, often managers and executives, so it wants to emphasize luxury and exclusiveness. It works with celebrities and top Instagrammers to spread the message. They deliberately picked influencers who lead powerful and luxurious lifestyles. These people travel regularly and enjoy the special privileges that come with the American Express Platinum card. The influencers made posts about how much they enjoy the benefits from having the card. They posted images depicting travels and the events they attended. The posts emphasized the exclusive places that the influencers gain access to because of their American Express card. 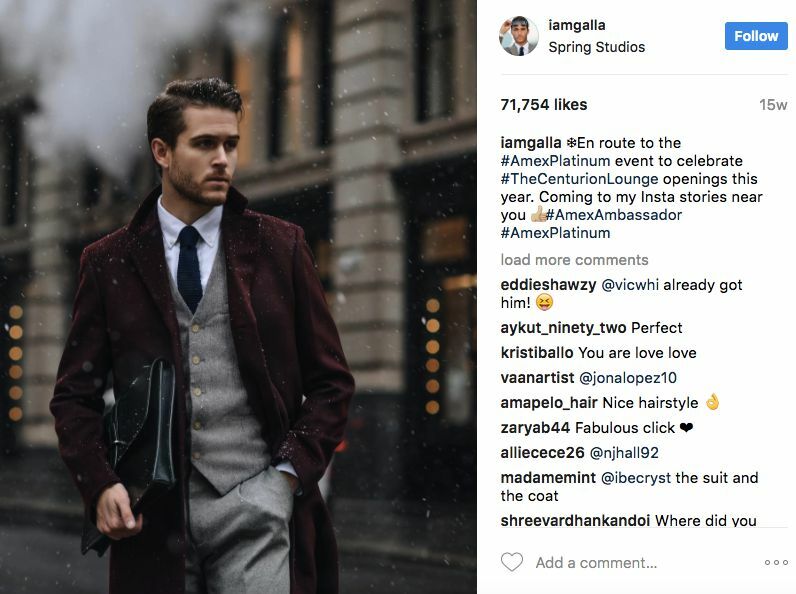 While the posts played on the exclusivity of the cardholders, American Express actually worked with hundreds of influencers from mega-celebrities to micro- influencers with under 100,000 followers. 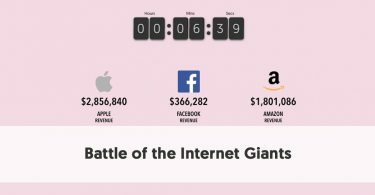 These influencers covered a wide range of niches – the philosophy being that successful people come from a wide range of sectors, representing a huge spread of companies. American Express has run other business-focused influencer marketing campaigns, as well. It launched the Love My Store campaign to help sell its new storefront decals to small business owners. It worked with Grace Bonney from the Design*Sponge blog to design these decals to appeal more to small business owners. It collaborated with HGTV personality Emily Henderson to create a video series that taught small businesses how to use the storefronts to attract customers. The campaign earned 5 million impressions on social media. It resulted in the printing and distribution of over 400,000 decals. In a demonstration of belief in its own product, digital marketing agency, TopRank, used influencer marketing to promote a content marketing conference. In association with the Content Marketing Institute, TopRank used 40 marketing industry influencers to put together a collection of advice they would give aspiring content marketers. Top Rank then used this advice to create content in the form of eBooks, blog posts, and long-form Q&A interviews. The campaign had a theme of “Alice in Wonderland” and became “Content Marketing Wonderland”. They used this content to promote the 2014 Content Marketing Conference. The campaign resulted in over 200,000 views for the eBooks in 2014 alone. They are still available and being downloaded three years on. G.E. set up an influencer marketing campaign, working with Lena Dunham’s feminist online publication, Lenny Letter. The main focus of the campaign was recruitment, and to encourage women to enter the tech industry. G.E. set up a week-long sponsored content run. The centerpiece of the campaign was an interview between Lena Dunham and GE Vice Chair, Beth Comstock. The interview covered women in the media, what a career in science actually looks like and how G.E. encourages women in tech. One of the key objectives was to humanize the giant corporation. It tied in with a series of recruiting commercials designed to encourage young people to join the company as industrial internet developers. G.E. chose Lenny Letter for its campaign because they saw it as a creative way to reach a digitally tuned-in female audience. G.E. has also undertaken other B2B influencer marketing campaigns. One was Instagram-based and focused around #GEInstaWalk. G.E. offered a few relevant influencers a tour of an R&D center and encouraged them to share their experience on Instagram. The influencers – six Instagram influencers and six GE “superfans,” – were given the opportunity to share exclusive inside access of G.E. with their 3.5 million followers. 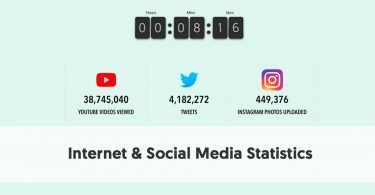 They managed to generate 200 social engagements within the first 48 hours. Time Warner Business Class decided to use video testimonials from some of their small to medium-sized business customers as part of an influencer marketing campaign. These customers included Spectrum Enterprise and Green Dot Public Schools. The videos highlighted how essential the Time Warner services were to the success of the businesses. The customers created videos showing how they were able to meet their goals thanks to their use of Time Warner Cable. The videos were then shared via YouTube, Facebook, and Twitter. Each of the videos ended with a Call to Action requesting the viewer to download a “Mighty Mid-Market” eBook. This gave more information about how Time Warner Business Class connectivity solutions could help businesses improve. The first thing that comes to mind when you think of PricewaterhouseCoopers (PwC) and the Oscars is this year’s snafu when Faye Dunaway accidentally awarded the Best Picture award to La La Land instead of Moonlight. PwC oversaw the vote counting, and one of their representatives accidentally handed Warren Beatty the wrong envelope. However, PwC has held this position for 83 years, and in the vast majority of situations the vote counting, and announcing, went smoothly. They named this campaign after a branded hashtag - #BallotBriefcase. The campaign was named after an actual briefcase which was taken on a journey across the USA and promoted as if it was a celebrity. The briefcase carried the 2016 winning Oscar ballot nominations. PwC chose Snapchat as the primary social media platform for the promotion. They created a Snapchat account in the name of the briefcase (PwC’s name never appeared on the account). They personified the briefcase as a diva and used the Snapchat account to share the briefcase’s journey. In many ways the briefcase became an influencer itself, promoting “it’s” journey across six cities, and “posing” with PwC employees. The PwC employees, many of whom are millennials, also acted as influencers, promoting their “briefcase diva friend”. Over 2,000 employees waited in lines for up to 45 minutes to meet the BallotBriefcase. They, in turn, tagged their friends and colleagues in photos of the meetings, and shared and commented on them via Instagram, Twitter, and Facebook. In the case of Twitter, there were 136x more impressions for tweets about the briefcase, than there were for Oscar-related tweets that didn't refer to the briefcase. 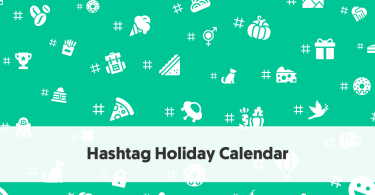 External influencers picked up on the campaign and amplified the outreach even further.